Lawmakers in New York are working hard to boost protections for reverse mortgage borrowers threatened with foreclosure. 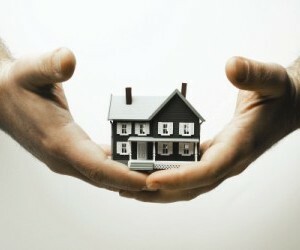 Assemblywoman Helene E. Weinstein (who represents District 41 in the New York State Assembly) and New York State Sen. Jeffrey D. Klein (who represents parts of the Bronx and Westchester) have introduced bills aimed at ensuring that second mortgage borrowers have the same protections as first mortgage borrowers. The bill proposes two key changes. The first is a written notification which must be sent to the borrower 90 days before the lender files a foreclosure case. The written notification should include a notice with contact information for free nonprofit foreclosure prevention assistance. The second significant change is a settlement conference for borrowers and lenders to try and work out a deal under the watchful eye of a judge or court-appointed referee. While Weinstein doesn’t expect the legislature to be back in session before the end of the year, she said she plans to push the law and “plug the hole” in 2017. The new bills were introduced following a story that appeared in the New York Post in July 2016. The story reported on the rise of foreclosures on reverse mortgages—a trend which threatens to make some of New York’s most vulnerable residents – homeowners age 62 and older – homeless. In the last legislative session, Weinstein tried to include some new protections for reverse mortgage holders as part of a package of bills related to foreclosures. However, other issues took precedence, including fines of up to $25,000 for lenders who fail to negotiate in good faith at settlement conferences. Sanctions are expected to take effect in December 2016.